When: March 25, 7 p.m. 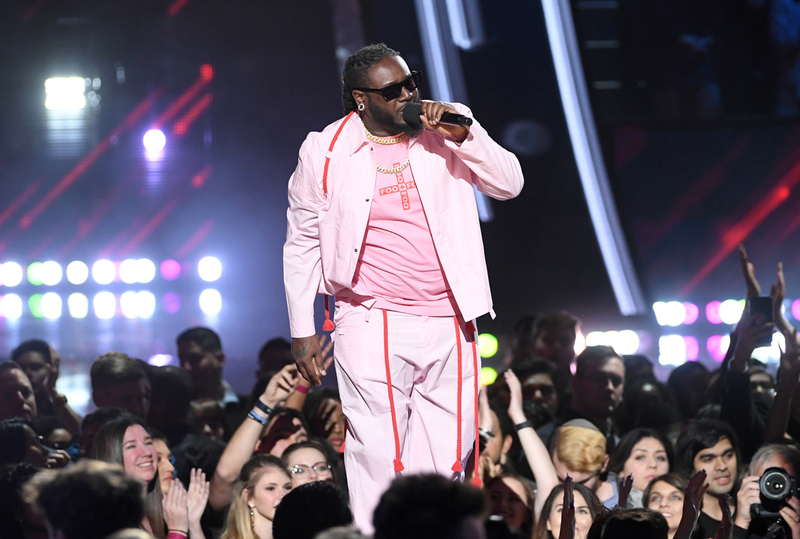 Details: After launching a new TV show last year, T-Pain’s School of Business, and dropping a surprise release of his sixth album last month, 1UP, the Grammy-award winning rapper is coming to Atlanta with supporting act Abby Jasmine. When: March 24, 2-6 p.m. Details: Leading up to McDonald’s All American Games—an annual all-star showcase featuring the nation’s top high school basketball players, which will be at State Farm Arena on March 27—Centennial park is going to be taken over by everything basketball. Expect plenty of basketball-themed family activities, live performances by Atlanta native rapper Lil Baby and Grammy award-winning songwriter Keri Hilson, and, of course, McDonald’s food. When: March 26, 7:30 p.m. Details: Come on down! Audience members have a chance at getting randomly selected to play some of the most famous games from The Price is Right including Plinko Time, Spin the Big Wheel, and the Fabulous Showcase. In its 10 years of touring, the show has given away more than $12 million in prizes. When: March 23, 8:30 a.m.-1:30 p.m. Details: After discovering that not one, but two of her daughters had been diagnosed with cancer, Alyssa Barton decided to take action to help her daughters and any child diagnosed with Leukemia. With a goal of reaching $5,000, all the proceeds from these indoor cycle class fundraisers will be donated to childhood cancer research. When: March 24, noon-3:30 p.m. Details: Your mouth is going to be breathing fire. This festival will allow you to sample food and bloody good cocktails from Broken Egg Cafe, Hugo’s Oyster Bar, Babs Midtown, Dantanna’s, and more. Also, if you’re down to get inked, you can also line up to get a temporary tattoo.